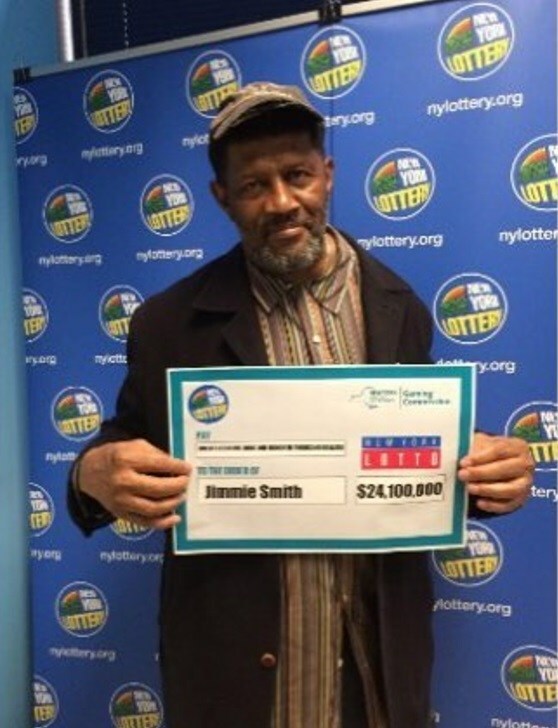 After May 25, 2017, 68-year-old Jimmie Smith would have been ineligible to collect the lottery money he won. The $24M lottery winner, reportedly discovered a pile of old unchecked lottery tickets stuffed in his pocket, two days to its expiration. It was gathered that more than a year ago, Smith bought a ticket to the New York Lotto. The winning numbers for the May 25, 2016 drawing were: 05 – 12 – 13 – 22 – 25 – 35. The New York Gaming Commission knew the winning ticket, worth $24.1 million, was sold at a bodega in New York City — but it didn’t know who bought the ticket. Winners have a year to claim the prize and that expiration day was quickly approaching. So earlier this year, the New York Lottery started to get the word out. CNN reports that after the retired security officer got wind of the news, it inspired him to check his old tickets in the closet where the old shirt hung. 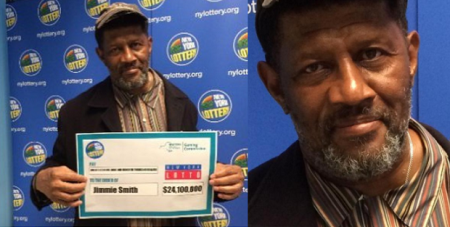 Smith’s name was released on Wednesday after New York Lottery completed its review. “We are thrilled that this lucky winner was able to locate this life-changing ticket,” Dean, of the gaming commission, said. Smith chose to receive his payments over the course of 26 years. A father of two and grandfather of 12, he said he plans to have an “all-family discussion” once things settle down. Previous article“I Took Time Off My Music To Take Care Of My Baby” – D’Prince.